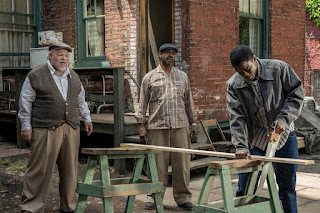 A social drama about the black working class experience, Fences benefits from strong performances but is overlong and hopelessly stagebound. 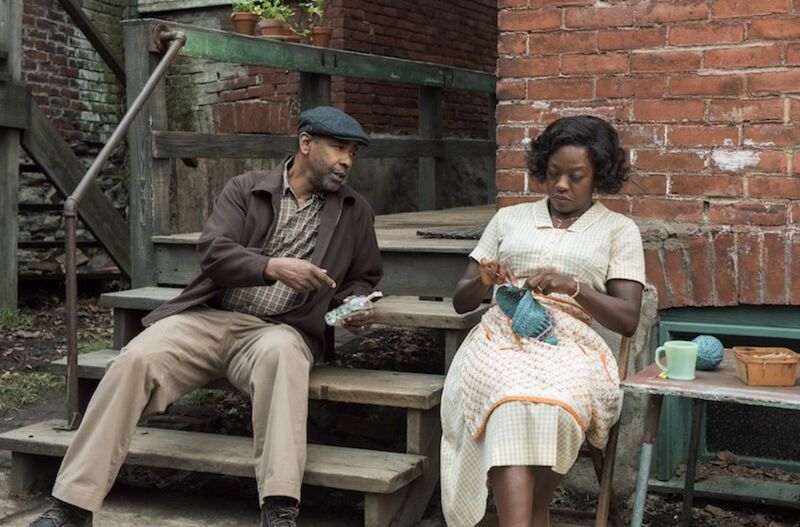 In Pittsburgh of the 1950s, Troy (Denzel Washington) is a rubbish collector married to Rose (Viola Davis). They live in a modest home paid for by a government payout to Troy's brother Gabriel (Mykelti Williamson), who sustained head injuries during the war and is now mentally impaired. Troy is proud of his life achievements, having survived a broken home and an abusive father. However, he remains deeply resentful that his skin colour prevented him from pursuing a big league baseball career. Troy has a difficult relationship with his two sons. Lyons (Russell Hornsby) is an aspiring musician now in his mid-thirties, but Troy thinks he is wasting his time chasing an elusive dream. Cory (Jovan Adepo) is in high school and on track to secure a football scholarship, but Troy does not believe that black athletes will ever be given a fair chance, and demands that Cory focus on finding a job instead. While Rose is the rock in Troy's life, he is keeping a secret from her that will shake their marriage. An adaptation of the August Wilson play directed by Washington, Fences delves into past, present and future hopes, dreams, and generational divides from the perspective of a small black family and particularly one man doing the best he knows how. With America on the cusp of social upheaval, Troy has pulled himself and his family into the outer ranks of respectability, but is now oblivious to the forthcoming seismic changes that will alter the future landscape of economic possibilities. Meanwhile his wife and sons see a future where skin colour will matter less and opportunities will start to expand, and the conflict in defining a future anchored in the past or embracing the future and whether or not it should be pursued lies at the heart of the film. Troy revels in storytelling and dishing out uncompromising life advice, with his neighbour and co-worker Bono (Stephen Henderson) a frequent audience member along with the family members. The film is essentially a series of conversations, many of them monologues, taking place in Troy's backyard. Despite the potency of the material, at 2 hours and 20 minutes the film is significantly longer than it needs to be. Both Troy and the meandering Gabriel are partially obsessed with death, and while frequent talk of battling the devil's legions and the armies of the grim reaper is colourful, the metaphysical distractions take away from the core familial drama. Denzel Washington and Viola Davis deliver fully invested performances, the walls of the small house often shaking along with the turbulent prose of husband and wife. The dialogue and the acting are solidly on the theatrical side of the line, and while the naturalness is missing, the passion is palpable. Fences is about what is allowed in and what gets left out in a couple's life. Troy defines his domain with robust wooden planks, for better or for worse.